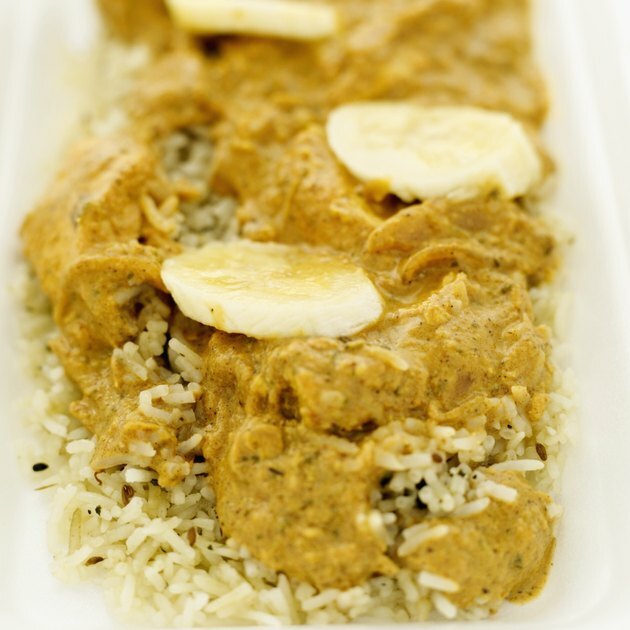 Curry lends its distinct color and flavor to many Middle Eastern dishes. While curry powder complements a variety of meat and vegetables, the oil-based seasoning does nothing for the appearance or smell of wood surfaces. Whether curry powder or sauce is spilled on a wood surface or repeated cooking sessions leave a greasy curry film on your wood, you don't have to live with the yellow discoloration and strong smell. You can get curry stains off your wood surfaces by using supplies and techniques that cut through the grease while removing the color. Curry is known for it's golden color and spicy fragrance. Blot curry sauce from the wood with paper towels. Remove excess curry powder with a hand vacuum. Dishwashing detergent has grease-cutting properties that help remove curry stains. Pour 2 cups of warm water into a bucket. 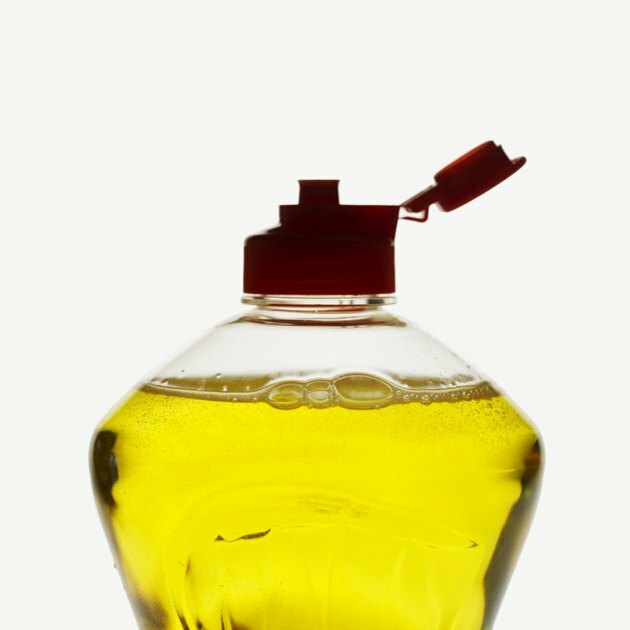 Add 1/4 cup of white vinegar and 1 teaspoon of dishwashing detergent to create a grease-cutting, stain-lifting solution. 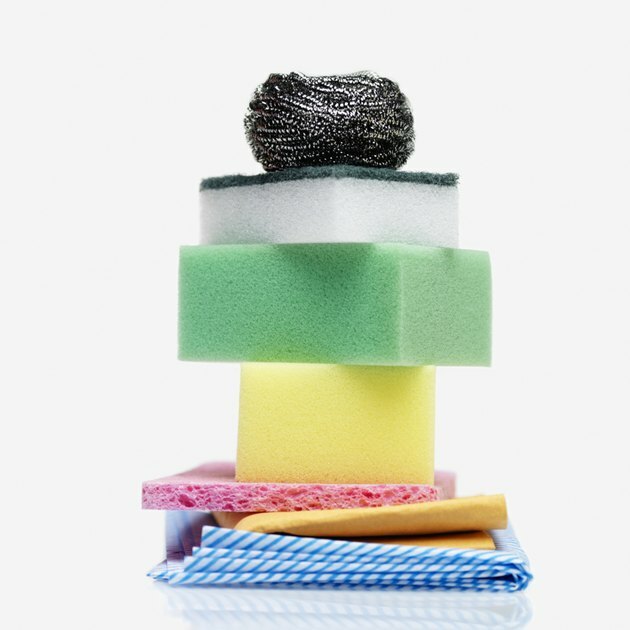 Choose a nonabrasive sponge to avoid scratching the wood. Wet a sponge in the vinegar and detergent solution. Squeeze the sponge to remove excess moisture. Wash the wood surface with the homemade cleaning solution. Rinse the sponge as the curry stain is lifted. Add more vinegar and detergent solution and continue to scrub to remove the greasy, yellow film residue. Dampen a clean cloth with water. Rinse the wood surface by wiping it with the cloth. Dry the wood with another cloth. Apply a nickel-sized amount of wood polish to a clean, dry cloth. Rub it into the surface of the wood to restore moisture. Buff excess polish off the wood with another cloth.